This 34mm. 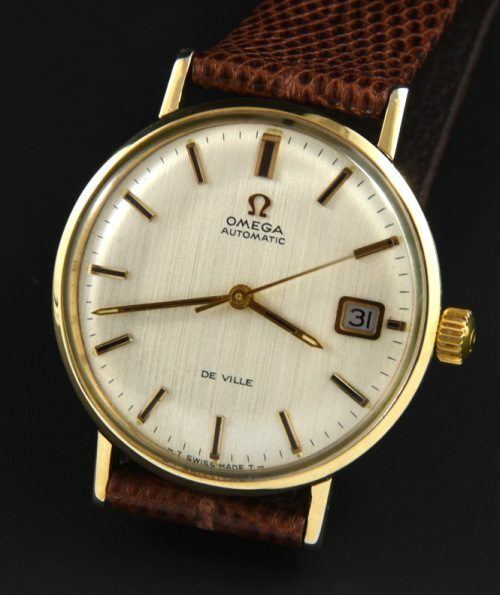 automatic winding 1960’s OMEGA De Ville is about as clean as you will find. 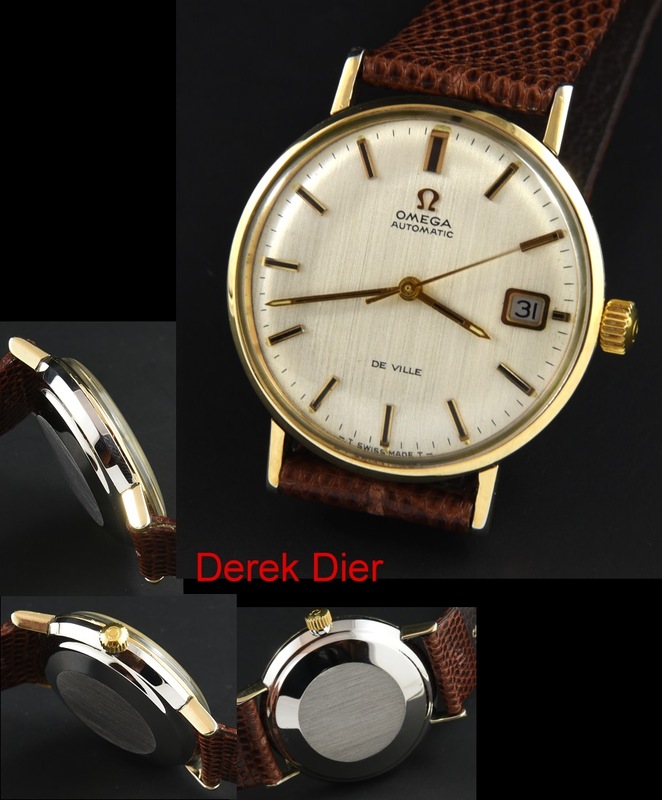 The dial and hands are original and near perfect. The OMEGA movement was just cleaned and is accurate. The gold capped case with steel back gleams and is without any major flaws. These watches are sleek, highly reliable and great looking on the wrist. You can wear this watch daily. Just $995.